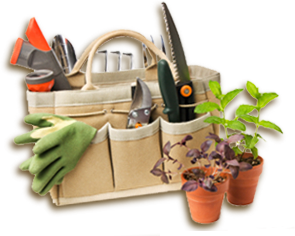 We all have heard about the wellness and environmental benefits plants have in our life. Plants increase the oxygen levels in the air we breathe and they also remove toxic elements, including benzene and formaldehyde. Plants trap toxins and move them to the soil where microorganisms convert them into food. One of the easiest and most effective ways to add vegetation to our cities is to cover the unused spaces on the sides of buildings. 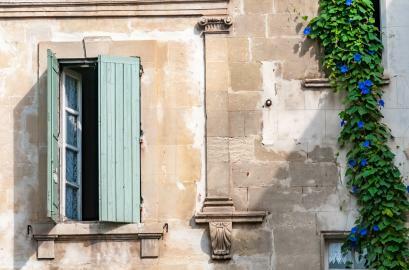 Vertical gardening has become a popular theme in urban areas for sustainability. 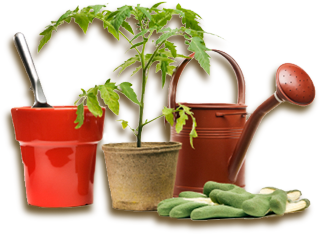 Typical vertical gardening has limitations because of the weight of soil and plant materials that need to be incorporated into the building design, which is also quite costly. 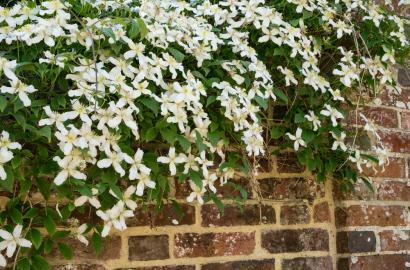 Climbing plants such as Clematis Vines are a unique alternative for overcoming these challenges by only requiring a climbing surface, a small amount of soil and minimal care. 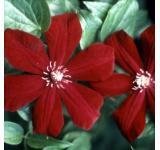 Clematis can use their slender, light-weight frame without damaging the structures or buildings they are climbing on. Clematis plants have a distinctive technique called circumnutation or twining, which allows them to effectively search out their surroundings. They swing their growing tips in large circles and search the area and then attach itself to one spot over another. This video shows this technique. 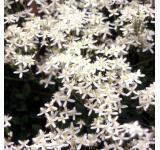 Clematis, with their attractive showy colors, wealth of flowers, and abundant amounts of pollen and nectar are also great pollinators. 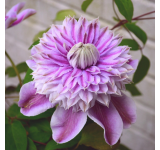 Clematis vines are the aristocrat of climbers and their rich colors and varied bloom times enable you to have masses of blooms from late winter to late fall. Some species will grow up to 30 feet while others mature at 4 to 6 fee. 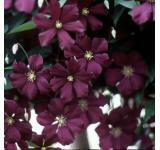 Whether you live in a rural or urban area consider adding these beautiful plants to your garden.